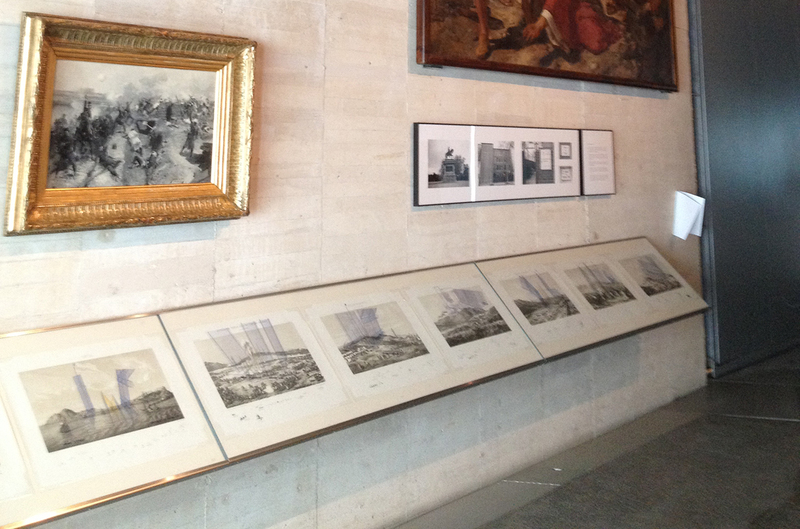 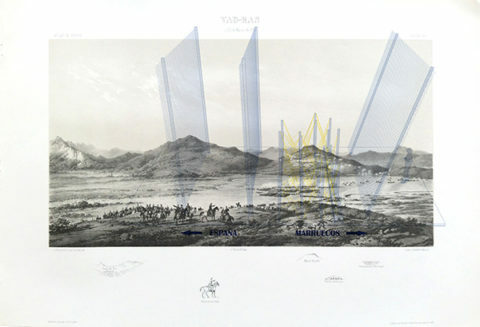 Series of intervened 12 engravings, 44 x 64cm each Courtesy of the artists. This work appropriates a series of facsimile prints from the Atlas of the African War, dated between 1859 and 1860 and belonging to the Army Geographical Service. 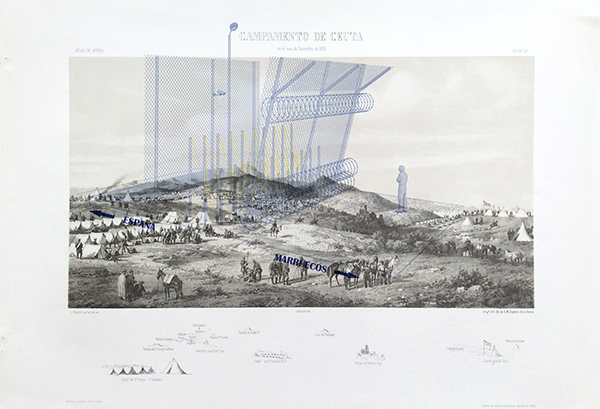 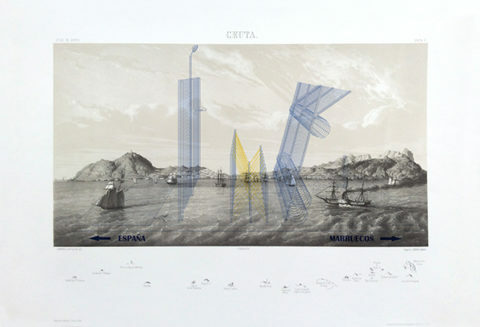 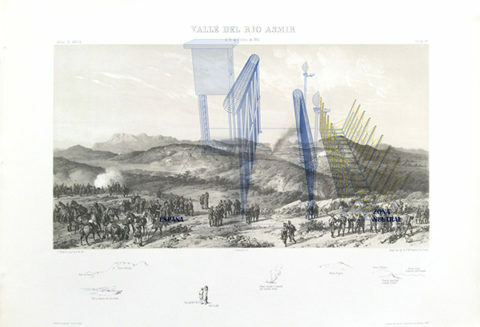 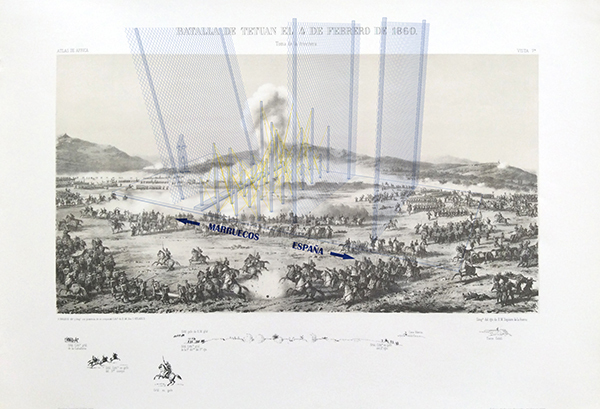 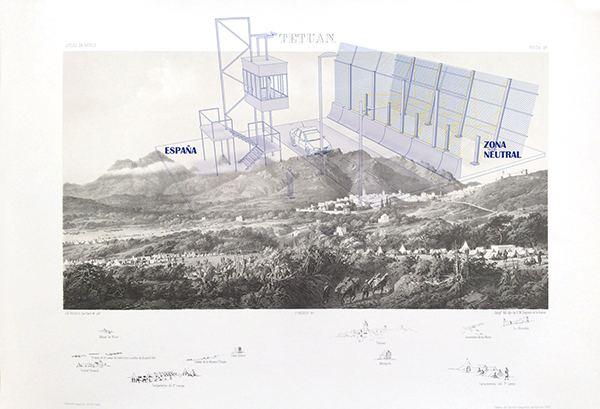 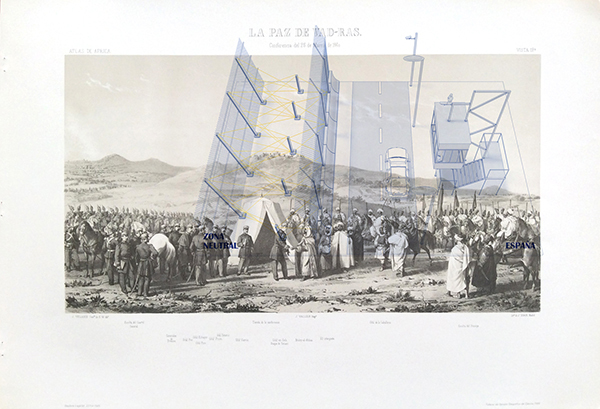 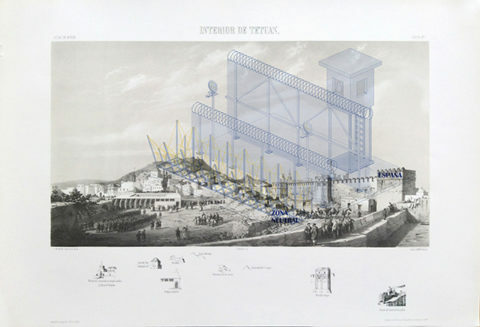 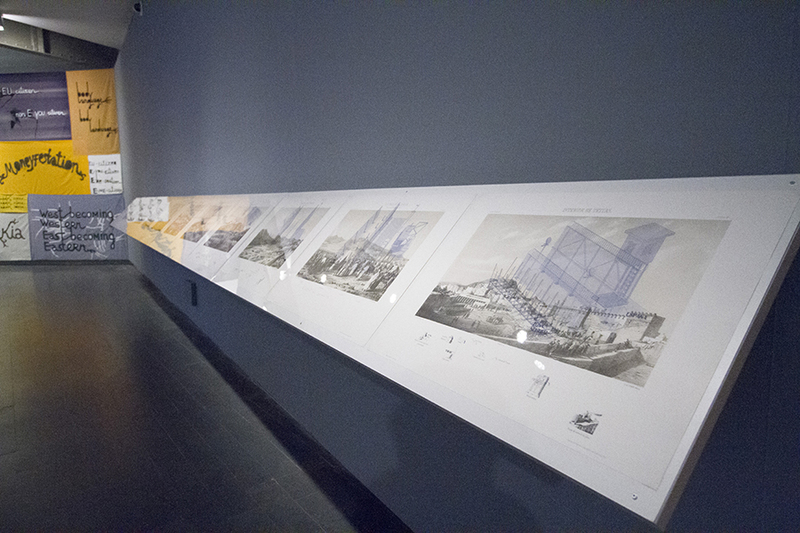 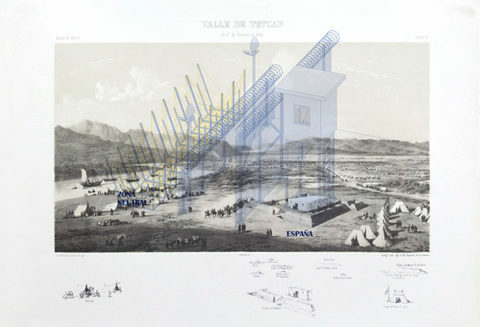 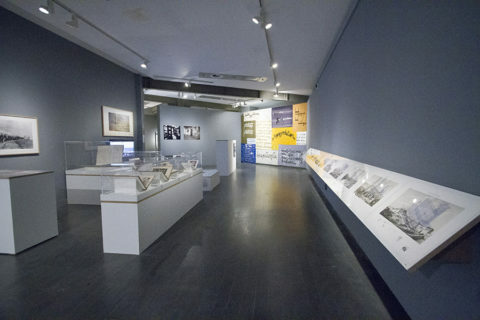 Over these panoramic landscape drawings are superimposed images of the fences currently separating the Spanish and Moroccan territories: by making use of the blue and yellow corporate colours that represent the European Union, the artists have introduced various architectural models for the surveillance systems of the fences in Ceuta and Melilla, drawn from press and police archives. 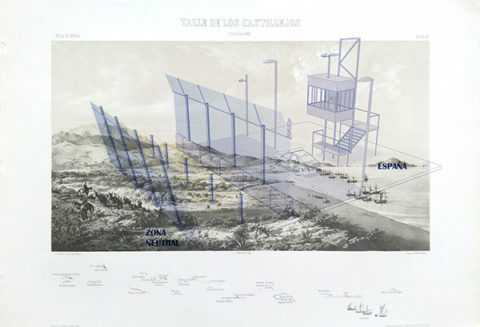 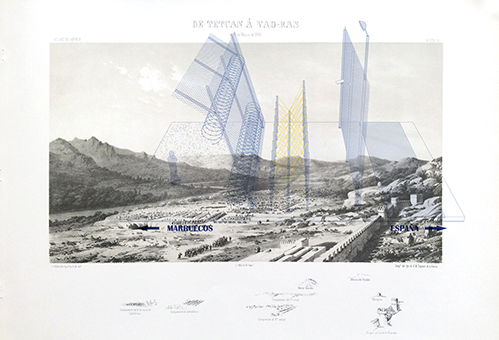 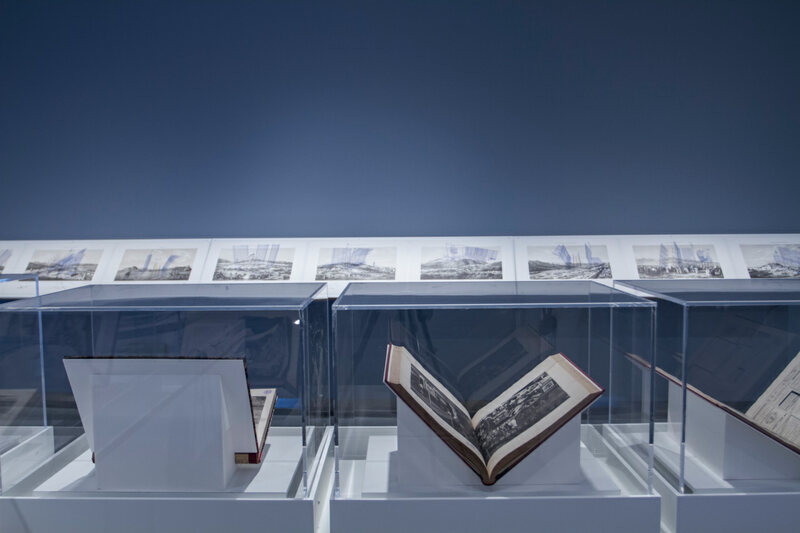 “Thus, C.A.S.I.T.A has transformed an atlas of engravings from the 19th century into a polysemic hybrid of imposible perspectives in coexistence with the images of the border fences. 1985 marks the entry of Spain into the European Union and the beginning of the progressive socio-economic transformation of the country, accompanied by a tightening of migration and border controls on becoming the first line of entry into the European stronghold.